William Thomas Orde-Powlett, 4th Baron Bolton (1845-1922). Sitter: William Thomas Orde-Powlett, 4th Baron Bolton (1845-1922). Biog: Landowner; Lieutenant Colonel Commanding and Honourary Colonel of the Yorkshire (Queen Alexandra's Own) Hussars. 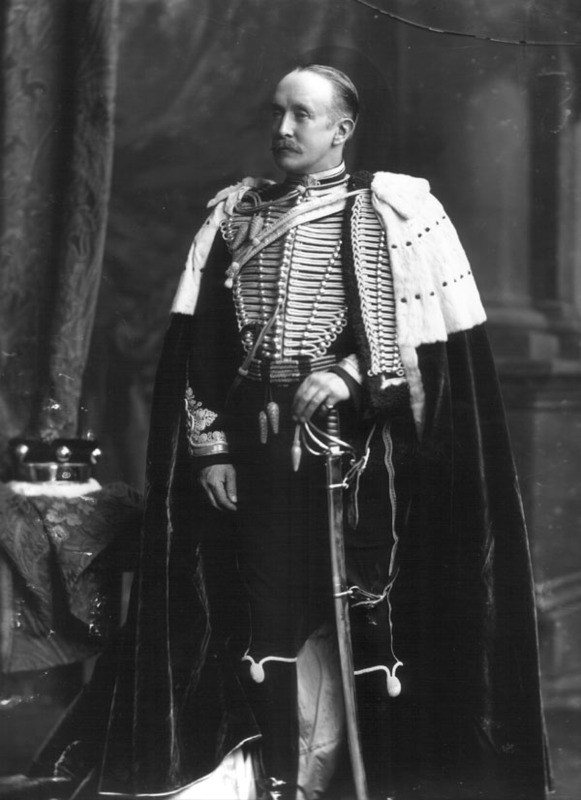 Costume: Peer's robes over Full Dress uniform, Officer, Yorkshire Hussars. Biog: Burke's Peerage; The Complete Peerage, Alan Sutton, 1987; The Army List, 1902; The Times, 15 August 1922, p 5a. Costume: (Peer's robes) H. Graham Bennet, ed, Dress Worn by Gentlemen at His Majesty's Court and on Occasions of Ceremony, London, 1903.